Autumn flavors – roasted potatoes and onions with a nutty sauce to go with it….. hearty food with rich flavors, different textures and enough substance to satisfy your appetite. 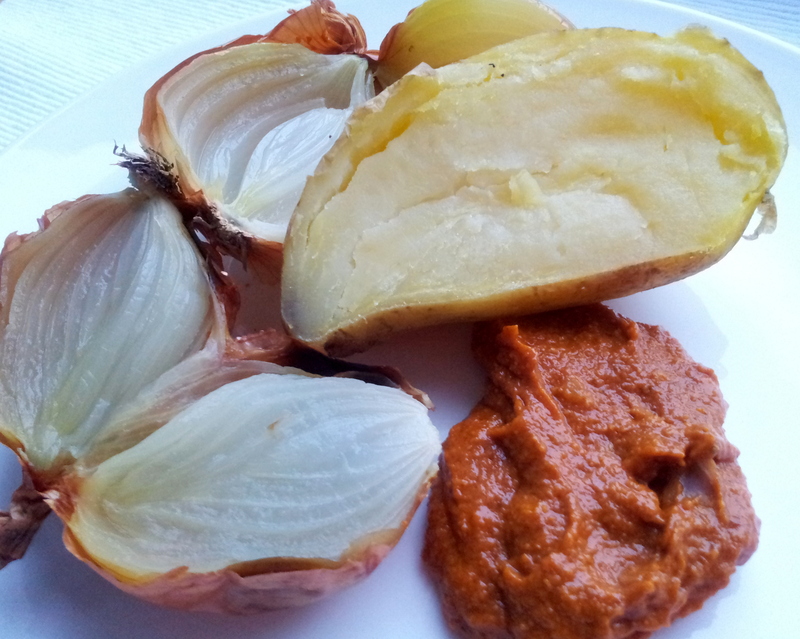 And, once you have enough romesco sauce on stock, very easy and quick. Method Pre heat the oven to 200 oC Wrap each potato in aluminum foil Put in a roasting tray and bake for about 45min or until the potatoes are soft and onion skins are charred. Cut the potatoes and the onions in half. Season with salt to taste. Serve with the romesco sauce.